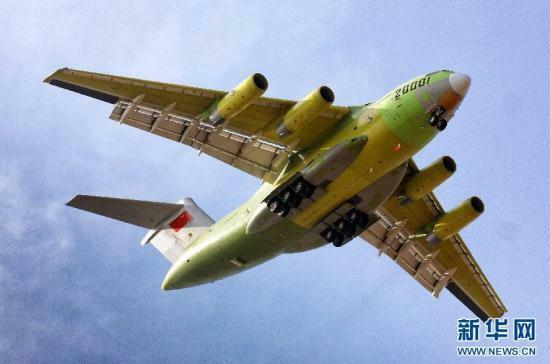 China’s first domestically-developed heavy transport aircraft, the Y-20, has successfully taken off for its first test flight. As a large and multi-role transport aircraft, the Y-20 can carry out long-range transportation missions even under complicated weather conditions. 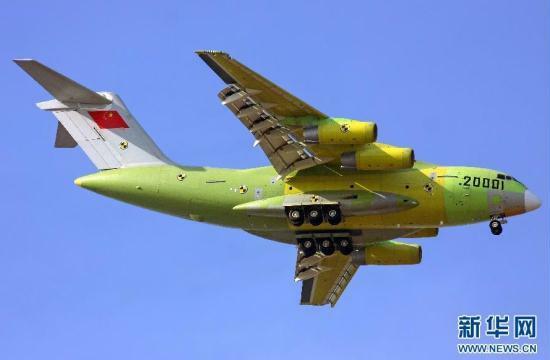 The Y-20 was developed by Xi’an Aircraft Industry, a subsidiary of China’s leading military aircraft maker, the Aviation Industry Corporation of China. The successful test flight is a significant boost to China’s capabilities in national defense, rescue and relief work, and humanitarian aid. Reports say more tests are planned.